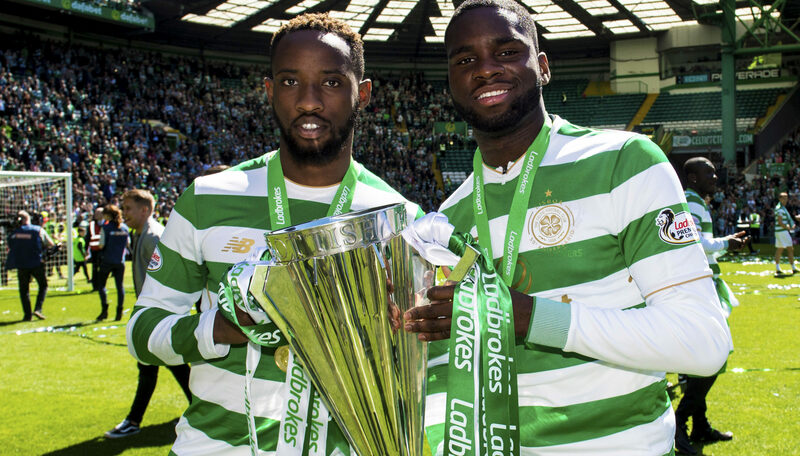 CELTIC have been urged to use Odsonne Edouard and Moussa Dembele as a twin strikeforce by their former youth coach at Paris Saint-Germain. Laurent Bonadei had the pair at Under-17 level, and is convinced their understanding, forged from a shared history, can be a big weapon in the Hoops’ bid to reach the later stages of the Champions League. “The relationship between Odsonne and Moussa is a very important one,” he said. “I don’t want to make comparisons with Barcelona, but when you see Lionel Messi and Louis Suarez, they really complement one another. “They are the two who can play the perfect ball to one another. “I think back to Odsonne and Moussa, and what I remember is very nice combinations. “So it will have been great for Odsonne to have Moussa at the club. He’s like a brother for him, which is great when you are adapting in a new environment. “They come from sensitive neighbourhoods of Paris, where life wasn’t easy. Odsonne knows where he came from and where he wants to go. “Life at PSG can be hard to handle for young players, but not for them because they both grew up in challenging environments. “They were very united in good and bad times. “Now Odsonne and Moussa are at Celtic, not as loans but as star players, with the club having spent big money on Odsonne to get him on a permanent deal. Bonadei is especially bullish about the prospects for 20-year-old Edouard. “I’m very optimistic that he’s going to be a brilliant striker,” he said. “For Celtic to have spent so much money on him, they clearly see that potential too. “For me, he is a player who will always score goals. It is only three years ago he was top scorer for France at the Under-17 European Championship. “That is a high level and I’m very optimistic he’s going to be a brilliant striker. “He has lots of qualities, and is getting bigger and stronger every year. He is in a very good club, with nice team-mates and a great staff to work with. That future started yesterday when they scored three goals between them as Celtic thrashed Shamrock Rovers 7-0.